Gas/Diesel – All internally lubricated parts, including timing chain and gears. Timing belt is covered with the failure of an internally lubricated part. All internally lubricated parts of the Transfer case including Bearings, Bushings, Chains, Gears, Sleeves, Sprockets. Cylinder heads, Intake manifold (all others are covered in conjunction with a covered component repair). Automatic/Manual; All internally lubricated parts. Any fluid required due to a covered component failure (excludes refrigerant). (OEM only) All internally lubricated parts, Bearings and housing, Shafts, Vanes, Wastegate (required charge applies). Accumulator, Electronic control processor, Hydraulic pump, Motor assembly, Isolation dump value, Pressure modulator valve, Wheel speed sensors. (ABS Brakes not available on 90 or 180 day agreements). Convertible top motor, Door lock actuators and switches, Electronic ignition module, Electric water pump, MAP Sensor, Mass Air Flow sensors, Oxygen sensors, Power mirror motors and switches, Power window motors, switches and regulators, Seat motors and switches, Sunroof motor. (Advanced Electrical not available on 90 or 180 day agreements). Accumulator, Compressor, Clutch, Compressor clutch bearing, Condenser, Dryer/receiver, Evaporator, Expansion Valve, Orifice tube. Booster and Valve, Calipers, Hydro booster, Master cylinder, Power vacuum assist, Steel brake lines and hoses, Wheel cylinders. Electric radiator fan motor, Fan and clutch, Radiator, Thermostat, Water pump. 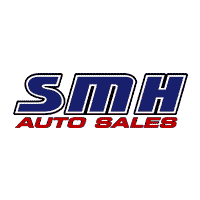 Alternator, Front and Rear wiper motor assembly, Horn, Rear window defroster switch, Starter motor assembly. Fittings, Fuel lines, Primary Fuel Pump. Gear box, Power steering pump, Rack and pinion, Tie rod ends. Leaf and coil springs (only if broken), Pitman arms, Spindles, Upper and lower ball joints, Upper and lower control arms, Wheel bearings. Manual and electronic locking hubs. Air injection pump, Air intake plenum and gasket, Engine mounts, Timing tensioners/guides. All manually operated switches, Alternator pulley and bracket assembly, Cruise control assembly, Emergency warning flasher switch, Engine control unit (ECU), Headlamp dimmer switch, Headlamp switch, Homelink wireless control system (OEM only), Horn, Idle air control motor/valve, Ignition coil, Ignition coil pack, Ignition distributor, Interior light switches, Lift Gate motor and actuator, Neutral safety switch, Powertrain control module (PCM), Power trunk release motor, Stop lamp brake switch, Trunk pull down motor, Turn signal switch, Washer fluid pump and switch, Wiper module and delay switch. Electronic switches/solenoids, Flywheel/Flexplate, Transmission mounts. Evacuation and recharge, Plenums and air ducts, POA valve. Backing plate, Parking brake control, Pedal/Lever, Pressure differential switch, Vacuum booster pump. Bearing and pulley, Blower motor resistor, Blower motor switch, Coolant recovery tank and reservoir, Heater blower motor, Heater control valve, Heater core, Serpentine belt tensioner. Fuel tank, Injectors, Pressure regulator, Secondary and High pressure fuel pump, Vacuum pump metering valve. Hood/Trunk/Hatch struts and hinges, Washer fluid exit ports. BAP, Camshaft position, Coolant level, Coolant temperature, Crankshaft position, Front and rear parking aid, Fuel level, Fuel injection, Heated oxygen, Intake air temperature, Knock, Neutral/Park position, Oil temperature, PFE, Pressure (HVAC), Ride height, Temperature sending unit, Throttle position, Vehicle speed sensor. (OEM only) All internally lubricated parts, Bearings and housing, Shafts, Vanes, Wastegate. (no required charge on single turbo/supercharger). Control arm shafts and bushings, Idler arm and bushings, Power steering pump pulley and bracket, Steering shaft pivot joint, Tie rod sleeves. Air suspension compressor, Stabilizer bar links and bushings, Steering knuckles, Strut bars and bushings, Torsion bar mounts and bushings. If you’re in the market for a vehicle, look for the ProGuard Warranty Certified Pre-Owned sticker in the window. While certified are the cream of the crop of pre-owned vehicles, they are still machines that are made up of many components that get worn down and are costly to replace. For complete confidence in the quality of your vehicle, make sure it comes with a ProGuard Vehicle Protection Plan that covers any unexpected repair bills down the road. Gas/Diesel – All internally lubricated parts, including timing chain and gears.Timing belt is covered with the failure of an internally lubricated part. (OEM only) All internally lubricated parts, Bearings and housing, Shafts, Vanes, Wastegate (surcharge applies). You’ve worked hard to establish a business and your customers rely on you to be there. 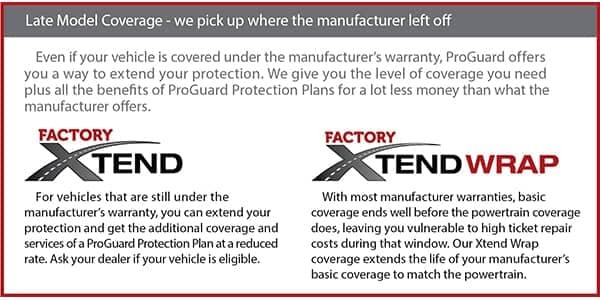 The last thing you need to worry about is one of your vehicles breaking down or needing costly repairs so protect yourself by purchasing a ProGuard Warranty Commercial Vehicle Protection Plan. Booster and Valve, Disc brake calipers, Hydro booster, Master cylinder, Power vacuum assist booster and valve, Steel brake lines and hoses, Wheel cylinders. Coolant recovery container, Electric radiator fan motor, Fan and clutch, Radiator, Thermostat, Water pump. All internally lubricated parts, Axle shafts, Bearings, Bushings, Carrier bearings, Center Support bearing, CV Joints, Drive axle housing, Drive shafts, Ring and pinion gears, Spider and side gears, Spacers, Universal joints and Yokes. Gas/Diesel – All internally lubricated parts, including timing chain and gears. Timing belt is covered with the failure of an internally lubricated part. Connecting rods and bearings, Crankshaft and bearings, Cylinder block and heads, Distributor shaft, Exhaust valves and manifold, Hydraulic and solid filters, Intake valves, Main bearings, Oil pump and gears, Pick-up screen, Pistons and rings, Push rods, Rocker arms and shafts and Valve springs and retainers. Leaf and coil springs (only if broken), Pitman arms, Spindles, Tie rod ends, Upper and lower ball joints, Upper and lower control arm, Wheel bearings. Gear box, Power steering pump, Rack and Pinion. Bands, Bearings, Bushings, Case, Friction and steel clutch plates, Gears and shafts, Governor, Lock-up converter, Pump, Servo unit, Steel drums, Torque converter, Valve body and plate. Bearings, Bushings, Case, Gears and shafts, Main drive gear and shaft, Overdrive housing, Shift forks, Spacers, Synchronizers and drums. Reimbursement up to $100 per covered breakdown.